For those of us who have lost a parent, sadness and emptiness can feel overwhelming. Imagine losing your mom as a teenager and then having to raise your younger siblings, making sure they remain healthy, have clothes to wear, and are succeeding in school. That’s Kimberly’s story. But it’s just part of the story. As the children in her family blossomed, Kimberly fell further behind. She placed their needs in front of her own, without regard to her own personal success and happiness. Then when her partner became physically abusive, she made an incredibly tough decision – leave or continue to be victimized and exposing her children to an increasing amount of danger. 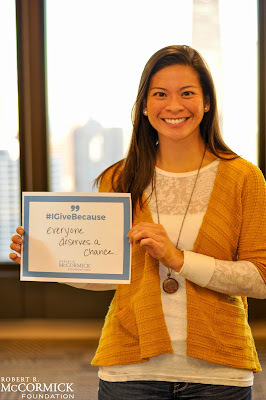 In a shelter, she connected with Heartland Alliance, a partner and grantee organization of the Robert R. McCormick Foundation. As one of the world’s leading anti-poverty organizations, Heartland Alliance works in communities around Chicago to serve those who are homeless, living in poverty, or seeking safety. Heartland provides a comprehensive array of services in the areas of health, housing, jobs and justice – and leads state and national policy efforts, which target lasting change for individuals and society. 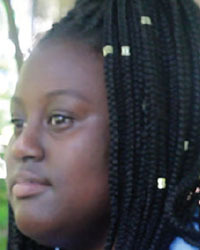 Her caseworker worked to restore Kimberly’s sense of dignity, helping her find housing, getting her re-enrolled in school and learning parenting skills. Today, Kimberly is studying to become a social worker, hoping to someday help other individuals who are victims of abuse and neglect, and giving people a renewed sense of hope. Heartland Alliance aims to achieve lasting change for their clients. It’s with that same goal, along with her own drive, passion and sense of optimism that will help Kimberly’s and her family experience the happiness they deserve. The Robert R. McCormick Foundation partners with Heartland Alliance to build safe, stronger communities. Together we can help Chicagoland shine brighter. Donate now. About a year ago, we announced major revitalization plans for Cantigny, the former home of Robert R. McCormick in Wheaton. We didn’t have a name for our project at the time, only big plans for the estate’s gardens, grounds and museums. Project New Leaf is still years from completion, but progress came quickly in 2017. Just before Labor Day, the First Division Museum at Cantigny Park reopened after a 10-month renovation. 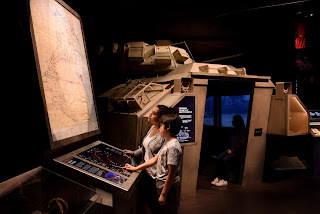 If you’ve had a chance to visit, we hope you agree that our world-class military museum is better than ever—as an educational resource and as a tribute to those who served or serve today. “Better than ever” aptly describes our goal for Cantigny Park overall. Through Project New Leaf, the McCormick Foundation is investing to ensure a superior guest experience for current and future generations of visitors. Colonel McCormick, our benefactor, would want nothing less. We honor and share his vision for Cantigny as a community gathering place for learning and recreation. More progress is on the way. Next spring our new farm-themed playground will open to visitors, followed by a grand reopening of the redesigned Display and Pond Gardens. These areas will be signature attractions at Cantigny for many years to come. Our landscape design partner for Project New Leaf is Sasaki Associates from Boston, the same firm responsible for the new Chicago Riverwalk. Changes are in store for Robert R. McCormick’s former residence as well. We envision the mansion becoming much more than a museum. Ideas under review include spaces for meetings and receptions and creating opportunities for civic learning and social engagement. Structural work on McCormick House is ongoing as we preserve one of Chicagoland’s most cherished historic landmarks. As Project New Leaf enters its second year, we thank our guests for their patience and understanding. The park will stay open throughout 2018, and current plans call for the return of favorite events such as our popular outdoor symphony concerts and LEGO Train Show. This is truly an exciting time in Cantigny’s history. The staff is energized, and feedback from park visitors is positive. They see and sense that a good thing is getting even better. With much more work ahead, we hope for a light winter and early spring! As a former high school teacher, I believe deeply in the premise that formal education can shape students’ civic development. The sustenance and success of our democratic experiment is dependent upon each generation being knowledgeable about both the issues of the day and the institutions of government, possessing the skills necessary to work together to resolve collective problems, and the belief that civic participation is both valuable and impactful. The Foundation certainly understands that schools play a vital role in cultivating engaged and effective citizens. In 2015, the Foundation and other statewide partners helped pass legislation that requires all high school students to complete a semester-long civics course effective with the Class of 2020. Through our statewide civic learning and engagement work, including the implementation of the new course and the Illinois Democracy Schools initiative, the Foundation provides guidance and support for how high schools and educators can incorporate civic learning across disciplines. Recently, I was asked by the American Political Science Association to write a chapter in a book entitled Teaching Civic Engagement Across the Disciplines. I highlighted the Foundation’s work with the Illinois Democracy School initiative and the related supports that must be in place in order to sustain a successful civic learning environment for students. My research demonstrates that schools with sustained, systemic commitments to their students’ civic development have a handful of traits in common including: (1) strong civic mission statements and shared leadership in their pursuit; (2) challenging curriculum with traditional and innovative civic learning practices woven across grade levels and subject areas; and (3) leverage reciprocal relationships with parents and the surrounding community. Although these schools have room to grow in other areas, these indicators are vital to sustaining and systematizing school-based civic learning. The chapter also looks at how civic learning and engagement opportunities in high schools (and even in the lower grades) help to strengthen the pipeline to college. Students who engage with civic learning practices, at a younger age, not only earn higher grade point averages but also have higher retention rates and are more likely to complete their college degree. They also demonstrate improved academic content knowledge, critical thinking skills, written and verbal communication proficiency, and leadership abilities. Challenges are acknowledged, but opportunities abound, as colleges and universities have an important civic mission that must ultimately form a P–20 continuum as we prepare students for informed, effective participation in our democracy. Too many compelling education stories in the Chicago area are simply not getting told. Stressed, constricted newsrooms have increasingly limited resources. Expertise in complex issue areas such as early education is in limited supply. 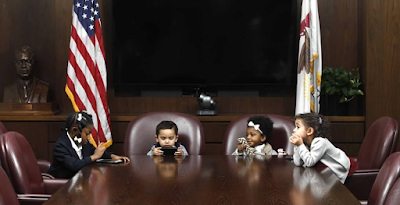 Meanwhile, students, educators, and families stand at the center of sweeping changes that carry profound implications for our communities and Illinois’ future. Residents, thought leaders and policymakers need to hear – and be informed by – compelling accounts of what is happening inside classrooms, higher education institutions and community early learning centers, and how those stories illustrate larger systemic issues or trends. To help boost understanding of education issues, philanthropic, education and journalism leaders have come together to successfully attract Chalkbeat, an award-winning education news organization, to Chicago. Chicago, along with Newark, N.J., was selected by Chalkbeat’s national board as the next city to set up a news bureau. Chalkbeat works in partnership with existing media to complement and bolster education news reporting. Its journalists will scrutinize and explain education policy and practice to inform decisions that result in better outcomes for children and families, especially those in living in communities of concentrated poverty. Chalkbeat expects to officially open a mid-sized bureau of three to four journalists in Chicago in early 2018. Chicago joins six other bureaus whose regions are benefiting from the online media model’s innovative, sophisticated, and incisive education news coverage. These cities include: New York, Denver, Detroit, Tennessee, and Indianapolis. Out of this project surfaced a remarkable, untold story of the 370th Infantry Regiment, one of the only African-American regiments that fought in combat during WWI. 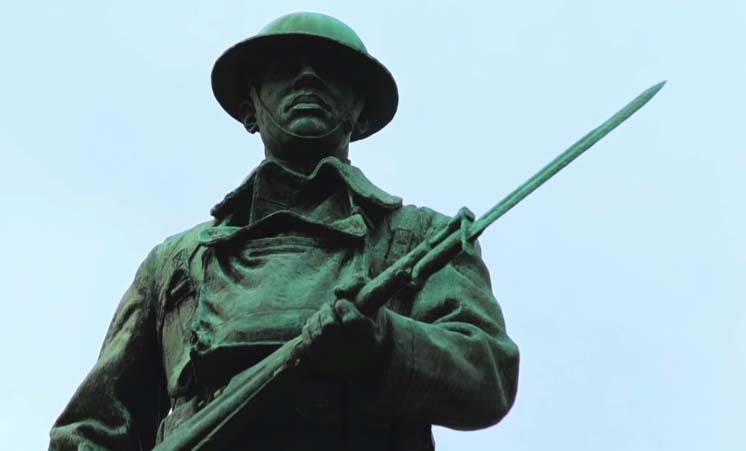 Fighting On Both Fronts: The Story of the 370th, a documentary produced by WTTW with the Foundation’s support, first aired on November 11 and tells the story of the nearly 3,000 unsung heroes, largely from Chicago’s Bronzeville neighborhood, who fought in combat during WWI. They were men who believed that if they fought for the principles of democracy overseas it would translate to equality for them back home – equal rights, equal treatment, and equal opportunities. Fighting proudly alongside French troops, the 370th had distinguished themselves in battle. The irony, however, was that they faced the racist policies of the American military itself, and when returning home, the hero’s welcome they received was short-lived, as the warriors of the 370th faced deep racism at home. View the whole episode to learn about a group of men whose bravery and accomplishments have been long overlooked. Since February, the Foundation’s Communities Program has been working with more than 20 local and national organizations with expertise in poverty alleviation and race equity work to discuss ways to improve our grant and development strategies to achieve the greatest impact in the communities we serve. Through these discussions, we have decided to focus on (1) adopting a Race Equity lens, supporting programs and policies that respond to community voice and address the root causes of poverty and systemic racial bias and (2) develop a holistic grant framework that responds to the complex mix of barriers experienced in Chicago’s most under-invested communities. Recently, the Communities Program developed a new fund, the McCormick Foundation Communities Matching Fund, to help create long-lasting impact in Chicagoland communities. Through the Matching Fund, the Foundation, along with frontline community organizations and community partners, will work to fight hunger, homelessness, and other urgent needs facing Chicagoland’s most vulnerable families and children. Donations to the Fund will have greater impact with a 50% match from the McCormick Foundation, allowing the money raised to work even harder to help kids and families that need it most. In November, the McCormick Foundation Communities Matching Fund’s launched its first campaign, Shine Bright Chicago. Visit our Facebook, Twitter, and LinkedIn pages to learn how our new fund is helping to create long-lasting impact in Chicagoland communities. Here in the City of the Big Shoulders we know that working together generates the best results. Our benefactor, Col. Robert R. McCormick believed we all can be leaders with the power to change the future. For over 60 years the Foundation, along with are partners and grantees have kept thus beliefs alive. Join us in helping to build a stronger, safer Chicagoland for all residents. As 2017 quickly comes to a close, the Veterans Program continues to build and strengthen relationships with our grantees that serve veterans and military families through partnerships with Chicagoland businesses and nonprofits throughout Illinois. This year we have invested more than $2 million in Illinois-based organizations and national organizations that are doing this important work in Illinois. We strive to work alongside our partners, and public and private donors to support impactful work that best supports Illinois veterans. The McCormick Foundation Veterans Program supports high-quality, integrated, and coordinated services in the areas of education, employment, health and wellness, along with providing capacity and technical support for veteran-centered institutions. To ensure Illinois is the best state for veterans to come home to, we believe collaboration and coordination among partners, in addition, to delivering high-quality services to veterans and their families is of the utmost importance. We are consistently overwhelmed by the amazing work being done by so many top-notch organizations throughout the state. Just like every organization, our resources are limited so we cannot support every program; however, where we cannot provide financial resources, we support networks for organizations to plug into creating the most efficient coordinated care for veterans. Below is a little bit about the many organizations we awarded grants to this fall. This is not an exhaustive list of our grantees but rather a snapshot of the larger initiatives we are supporting. 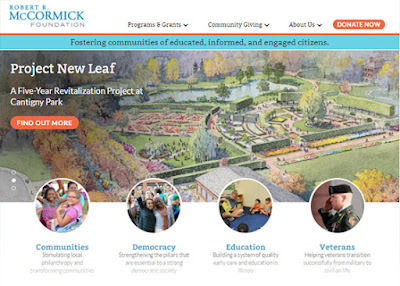 A comprehensive list of the Veterans Program grantees can be found at mccormickfoundation.org. Supporting employment and educational pathways for veterans through: educational advancement, workforce development, entrepreneurship, financial stability, and building cultural competencies will ease under-employment and unemployment, strengthen benefits and services and increase the value of veterans and their families as assets to their local communities. Bunker Labs builds local, thriving, and connected networks to offer resources, education, introductions, and support to emerging veteran entrepreneurs. Bunker Labs engages successful entrepreneurs and community leaders to serve as mentors and connect veterans with one another by providing a physical location (in 1871) for programs, office space, and networking. The McCormick grant to Bunker Labs will support a Community Outreach and Support Manager position, to grown the community of military veteran entrepreneurs that the Bunker serves in Chicagoland. This role will ensure that the Bunker’s community and resources are accessible to military veterans and families from diverse communities, especially those living on the south and west sides of Chicago, and those who may need accommodations for disabilities or other barriers to access. National Able provides direct employment services to some of the hardest to serve veterans, including chronically unemployed and homeless, by providing job training workshops, technology training, coaching, and supportive placements. The grant from McCormick supports general operating expenses and will help the Veterans Forward team to develop a strategic plan to integrate veteran services within the workforce system by collaborating more closely with the American Job Center (AJC) where all government agencies refer new veterans returning to Illinois. The Veterans Employment Empowerment Project was initiated in 2014 with an initial investment from the McCormick Foundation. The project provides transitional and/or temporary employment with added employment supports and case management to aid veteran in permanent placement. Most employment that they provide is in one of their call centers that has the contract for the Illinois Department of Transpiration and several healthcare companies. The McCormick grant will continue to enhance their services to veterans, in addition, to helping them create an internship program for 30-40 veterans which will serve as a pipeline into their employment opportunities and/or assisting veterans into other employment opportunities. CAEL’s work is designed to help veterans and service members gain applicable credentials for meaningful civilian careers. They work with various sectors within education, business, community and government to promote collective impact. The McCormick grant will continue to support these collaborations. The VHEAG continues to be the region’s best-positioned and most effective primary source for professional development in working with student veterans. The Commercial Club VWG is a diverse “community of knowledge,” working to address the most important issues facing Chicagoland veterans. This employer community come together to shares lessons and successes, enhances partnerships and collaboration, and provides guidance on best practices to strengthen the veteran employment landscape. The VWG ensures that the critical employer perspective is represented, and that employers are active engaged in supporting veterans. Supporting direct services (clinical, psychological and health and well-being) and related systems will increase veterans’ and their families overall physical and mental health, life satisfaction, and connectedness to community. Recognizing that a critical piece in the transition from service member to veteran is the ability to connect with the community, Team RWB’s mission is to enrich the lives of America’s veteran by connecting them to their community through physical and social activity. Team RWB has been operating five chapters in Illinois located in Chicago, Joliet, Marion, Peoria, and, Springfield. The McCormick grant will support each chapter’s operations and allow for broader outreach strategies to enhance membership. This program is built on a mentoring concept, bringing combat veterans and youth who have experienced trauma together to share common life experiences, primarily surviving in hostile environments and striving to cope adaptively. It’s trauma-informed approach fosters a unique supportive relationship between military combat veterans and youth. The program was originally piloted in 2015. The McCormick grant will allow the YMCA to provide essential outreach to coordinate veteran recruitment and training, and refer veterans to external services when necessary. Being a youth-serving organization, they have not had the capacity to do this and have recognized that these supports will further strengthen the program. Through volunteerism in fellowships and service projects (called service platoons) veterans gain new skills and connections that help them achieve personal and professional success. Likewise, communities see long-term positive effects from having a hard working, highly trained veteran volunteer forces to help tackle their toughest challenges over a period of years. As The Mission Continues has grown and evolved they have added third pillar of community impact. McCormick funding will enable them to add a service platoon (to the existing three platoons – each platoon consists of 15-20 veterans) and tap into our knowledge about community initiatives to identify where platoons and Fellows can best contribute to community impact and assisting communities in creating healthy, sustainable communities with empowered community partners. Supporting pathways to coordinated outcome-based programs will provide transitioning service members, veterans and military families ease of access to supportive services. Illinois Joining Forces was established in 2012 by the Illinois Department of Veterans’ Affairs (IDVA) and the Illinois Department of Military Affairs (IDMA), is a statewide, public-private network of veteran- and military-serving organizations working together to improve services to Illinois’ military and veteran communities. IJF’s initial mission was to map the plethora of resources and services available to veterans and their families. IJF’s goal is to increase awareness and connectivity among its member organizations so that they and those we serve, can better navigate the system of support. McCormick’s continued support provides general operating expenses. Coordinated, community-based collective impact is currently viewed as the best practice for effectively delivering services to veterans and military families. Through strategic partnerships with federal, state, county, and city veteran agencies, military bases, non-profit and private service providers, and philanthropy, IJF is positioned to be the backbone organization for coordinating veteran services in Illinois. 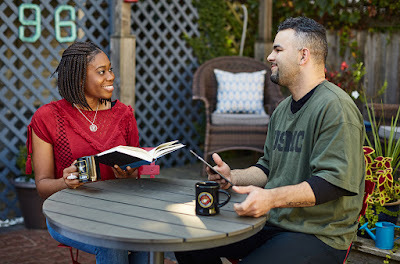 The five-year Multi-faith Veterans Support Project, renamed the Multi-faith Veterans Initiative (MVI) was initiated by a planning grant from McCormick Foundation in May 2014. MVI has collaborated with faith-based organizations on the west, mid-south, far south, and north sides of Chicago and connected 185 non-repeat veterans to health, employment, housing, and VA services. The MVI is sustained with the support of DePaul’s Egan Office for Urban Education and Community Partnerships (UECP). By galvanizing faith-based organizations around veterans’ services, MVI is filling the gap that exists between the VA and veterans in creating access to service alternatives and link veterans to opportunities to engage with their communities. Supporting capacity building and technical needs of institutions serving veterans will strengthen their ability to deliver higher quality, integrated services to veterans within Illinois. This is an innovative public-private research collaboration that will produce evidence-based data and outcome metrics relating to veteran transition services. The rationale of the study is to develop evidence-based methods to assess what works to improve veteran’s long-term outcomes. This 5-year longitudinal study is being conducted by The Henry M. Jackson Foundation for the Advancement of Military Medicine. We supported the first two years of the study in partnership with 12 other funders. McCormick has committed to supporting this study for another three years. Meet Olivia. She’s one of the great staff members at New Moms, an organization that aims to interrupt the cycle of poverty and create strong families. As a partner and grantee organization of the Robert R. McCormick Foundation, New Moms focuses its assistance on the most important areas of family life including stable housing, job training and family support. What’s unique about Olivia is that she was also once a client of New Moms. 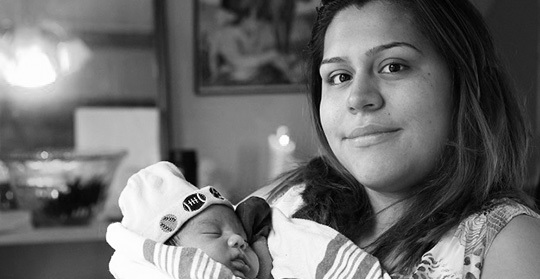 Several years ago, Olivia found herself homeless, pregnant and living in a shelter. Hope was nowhere in sight, and any sense of happiness in life seemed like a distant dream. Enter New Moms. They surrounded Olivia and her new baby with everything they needed to transform their lives. Each day, New Moms assists new mothers and offers support as she finds a safe place to live, gets a job, and becomes a strong leader for her family. They restored Olivia’s sense of hope and confidence to build a fulfilled life. At New Moms, 100 percent of the young moms who access their services live in extreme poverty. Sixty three percent come from homes where their mothers were teen parents. New Moms addresses the health and safety of the new mother and their precious baby, understanding that kids need to build life skills in stable housing without the threat of eviction or homelessness. They provide hands-on experience, linking new mothers to permanent jobs, and leads them toward economic independence. By instilling moms with the skills they need to be great moms, they are empowering young moms to transform their stories from ones of hopelessness to lives filled with stability, health, and vision for a strong future. Just like Olivia. Ray was raised by a single mom. Even as a young boy, Ray believed his role in the house was to provide for his mother and keep her safe. He took the only path he thought he could—he turned to life on the streets. Imagine if you felt that was your only option? 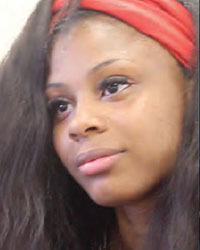 This is the reality for thousands of local youth ages 16 to 24, who are disconnected from school or work, and lacking hope for a bright future. If only Ray had found an organization that could have given him and his mother the support they needed to avoid a life of heartache, hopelessness, and stress. Now a grown man with a daughter of his own, Ray has a second lease on life. Through the support of Teamwork Englewood he found the support needed to turn his life around. As partner and grantee of the Robert R. McCormick Foundation, Teamwork Englewood is a community organization that unites nonprofits serving Englewood residents and works toward the common goal of building a stronger community. 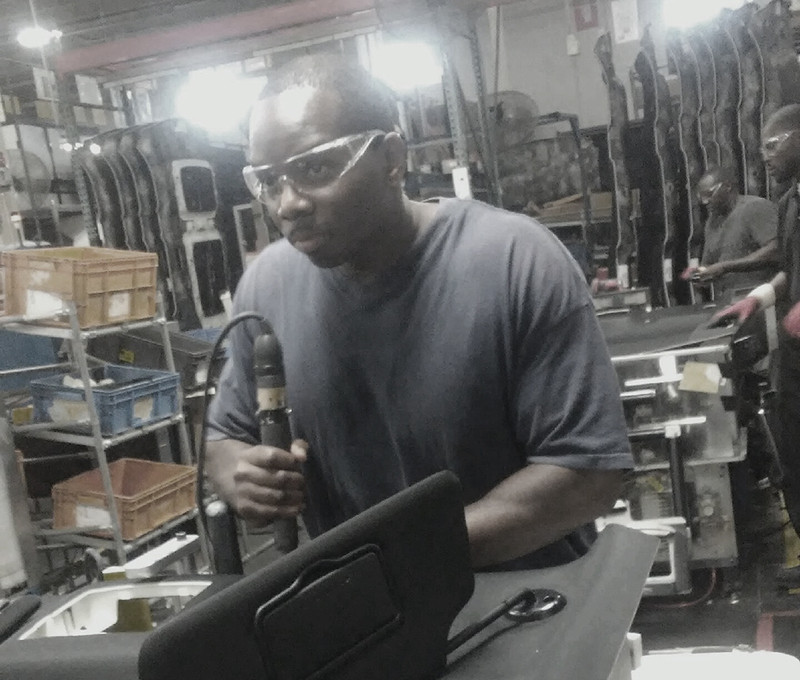 Thanks to Teamwork Englewood’s Re-Entry Services Department, Ray now has a full-time job with Dakota Rim Assembly plant. Not only does he get a regular pay check but now has access to health and retirement benefits, counseling services, and other resources that provide a better quality of life for him and his daughter. As a high school senior, Devon didn’t spend much time thinking about his future. He struggled in high school. For him, college seemed like a stretch. 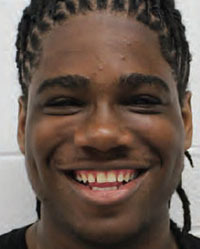 Until he was connected to Umoja Student Development Corporation and his entire outlook on the future shifted. 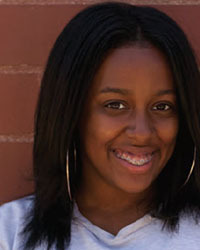 As a partner and grantee organizations of the Robert R. McCormick Foundation, Umoja helps public high school students achieve their academic and career goals by partnering with schools and educators to create the necessary conditions in schools for all students to achieve their goals in high school and beyond. 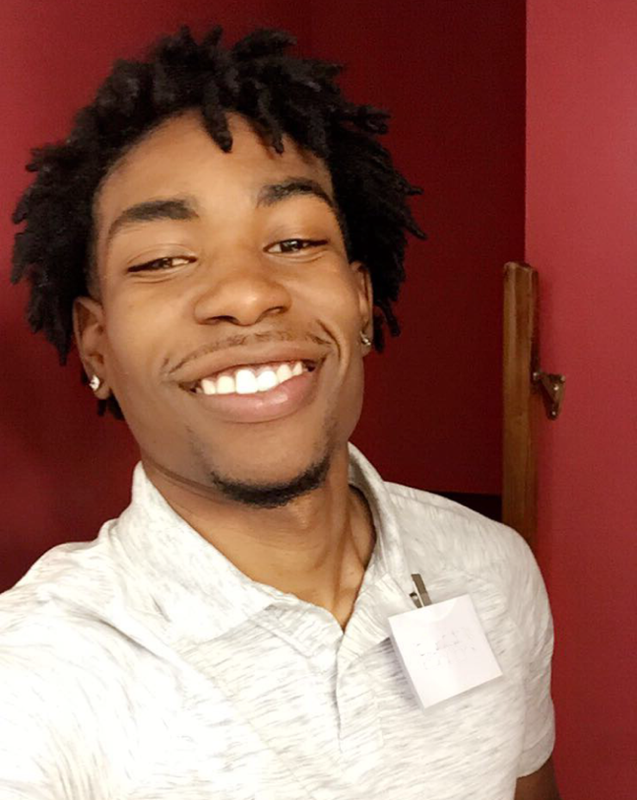 Umoja gave Devon the confidence and support he needed to make college a reality. 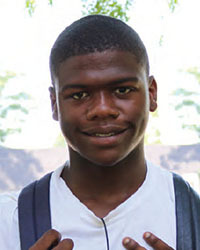 They accompanied him on college tours, encouraged him to reach out to college admissions offices asking for a chance, and helped with the admission process. Today, Devon is a junior at Southern University Baton Rouge studying mass communications with a focus on broadcast journalism. Not only is he thriving academically he is also active in campus life writing for the University’s student paper. 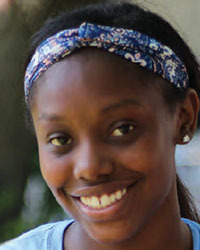 Stories like Devon’s can begin being the norm for youth living in low income communities with organizations like Umoja. Today, Umoja supports more than 3,400 public high school students by equipping them with the necessary resources, skills, and support to succeed in high school, college, and confidently claim their future. Anyone who has kids knows that being a new parent can be both scary and exciting. Exciting because you have such hope for the new life you are bringing into the world. And scary because there are so many unknowns. For Natasha, the fears of becoming a first-time mom outweighed the excitement. There was no Mommy Blog or article that could help her overcome these fears. Homeless, pregnant, and moving from one shelter, she urgently need help. Luckily, Natasha found New Moms, an organization that aims to interrupt the cycle of poverty and create strong families. 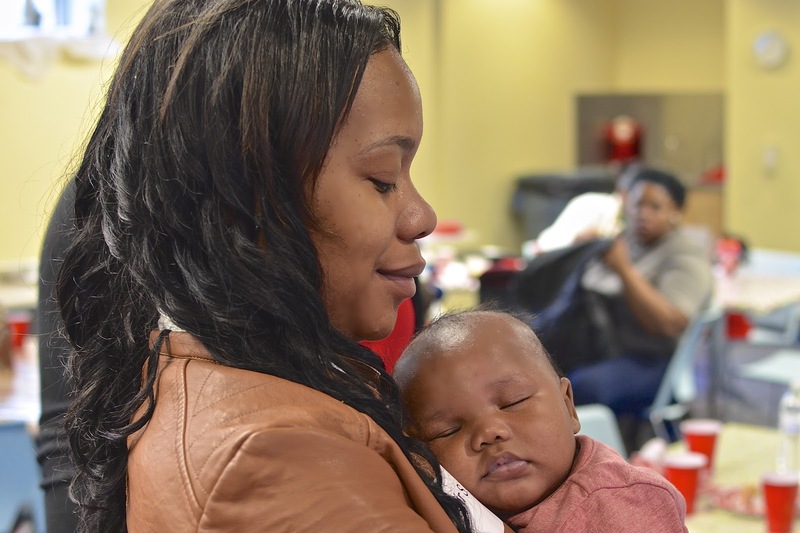 As a partner and grantee organization of the Robert R. McCormick Foundation, New Moms focuses its assistance on the most important areas of the life of a family, including stable housing, job training and family support. The staff of New Moms took Natasha under their wings and surrounded Natasha and her new baby with everything they needed to transform their lives. Each day, New Moms assists families by offering support as they find a safe place to live, get a job, and become stronger leaders for their families. They certainly did this for Natasha and restored her sense of hope and confidence to build a fulfilled life. New Moms addresses the health and safety of new mothers and their precious babies, understanding that kids need to build life skills in stable housing without the threat of eviction or homelessness. They provide hands-on experience, linking new mothers to permanent jobs, and lead them toward economic independence. By instilling moms with the skills they need to be great moms, New Moms is empowering young women to transform their stories from ones of hopelessness to lives filled with stability, health, and vision for a strong future. Just like Natasha. Now in its sixth year, Giving Tuesday is officially a thing. And now that it’s a thing, I’m thinking you, like me, want to be part of it by making donation today. But what if you don’t already have an organization that’s close to your heart – where do you even start? There are so many great nonprofits out there, so many great causes to support. How on earth do you choose which one to give to? Well, what if you didn’t have to choose just one? That’s the beauty of making a gift to the McCormick Foundation Communities Matching Fund. The money raised supports the work of the Robert R. McCormick Communities Program, which gives grants to numerous social service nonprofits across Chicagoland that are providing individuals, kids and families the opportunities and resources they need to move out of poverty. What gets me really excited about the work of the Communities Program is that we are very thoughtful and thorough in how we tackle issues, invest donations, and work with communities. We believe everyone deserves a chance to reach their full potential. This kind of approach lets us curate local, impactful nonprofits for you. When kids are hungry, they have a hard time concentrating and are less able to learn. Together with your generosity, we’ll support programs that provide both meals and educational help. When a parent is suffering from an illness and can’t get the medical help he/she needs, his/her whole family is at risk. Together with your support, we’ll focus on expanding access to physical and mental health services. When a job is lost, an individual struggles to pay the bills and is at greater risk of becoming homeless. Together with your kindness, we’ll work on helping people get the skills and resources they need to be self-sufficient. We do the research for you to make sure your donation is invested wisely. Our solid vetting and timely evaluation processes verify that the nonprofits that receive grants are trustworthy and doing work that is making a difference. In addition to supporting organizations that directly help people, we also develop strategies that uncover and address root causes of issues, promote cross-sector collaboration, and take part in policy and advocacy work. We’re talking real micro to macro views! Residents of a community know their community the best – they know first-hand what their community really needs. That’s why we actively listen and work together with local leaders, residents and nonprofits to problem solve and work toward solutions that will create lasting change. We also know there is great potential within a neighborhood so we work together to highlight and strengthen the assets a community already has. In addition, we develop respectful, productive relationships with the nonprofits that receive grants from us. We learn from each other and work together to achieve a greater goal. Our past grantees include Enlace, Erie Neighborhood House, Greater Chicago Food Depository, New Moms, and Teamwork Englewood to name a few. Working together is where it’s at! We truly believe in this work, so we put real skin in the game – meaning the McCormick Foundation will match your gift at 50% not only on Giving Tuesday but every day! We know you want your money to go to helping people so when you donate to the Communities Matching Fund, that’s exactly where all of it goes. How? Because the McCormick Foundation picks up its own operating expenses so 100% of your donation, plus the match, goes to support the programs of the nonprofits we partner with who are providing opportunities to those who want to change their lives. So – are you excited yet…? Let’s do this thing – Please give today! A major theme of the recently re-opened First Division Museum at Cantigny Park is “Our Soldiers,” a reminder that all our service-members are ours. We must care about their welfare, about where they go and why and we must welcome them home. But some do not return. In the conflicts from World War II to the present, more than 82,000 Americans are still missing in action. 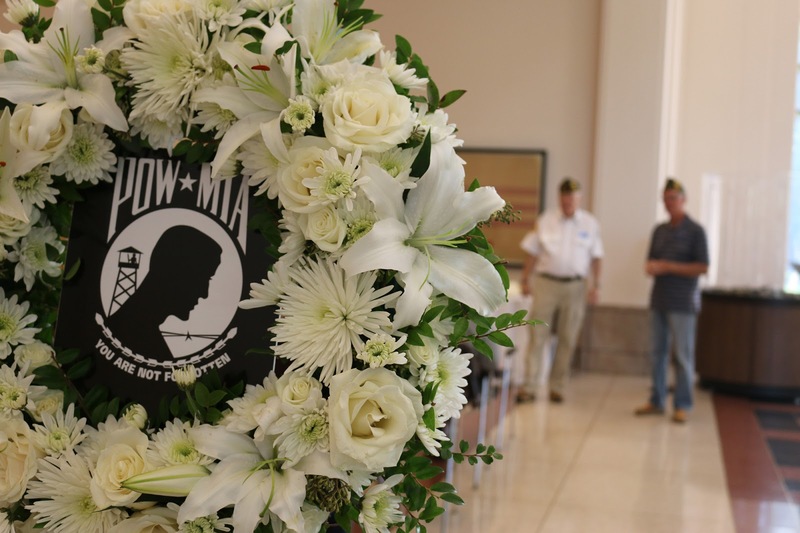 To help keep them in the public’s (and government’s) mind, we at Cantigny Park are observing National POW/MIA Recognition Day on September 15. We will proudly fly the National League of Families black and white POW/MIA flag and we will remind our fellow citizens of our solemn responsibility to bring these people home. Fortunately, our government is making progress. There is a permanent agency dedicated to accounting for, identifying and recovering the missing – the Defense POW/MIA Accounting Agency. Underfunded and under staffed, it has nonetheless accounted for 132 missing service-members just in 2017. A look at their photo gallery reminds us that these missing Americans were once very much among us – they were, they are, Our Soldiers. They gave their all for us – now we need to do our all to bring them home. In May 2017, the Chicagoland Workforce Funders Alliance, a collaboration of foundations and corporate funders focused on employment equity, received a $1 million personal gift from President Barack Obama and former First Lady Michelle Obama. The Obama’s donation will support an effort to open apprenticeship pathways into the building trades for adults, especially young adults, who have been underrepresented in the trades sector. Capturing better data on diversity and inclusion. Coordinating leadership from "construction buyers" to support shared solutions and track progress in the sector as a whole. Designing and supporting effective career pathways for young adults to access jobs and apprenticeships as alternatives to four-year higher-education institutions. A look at several community collaborations working together to serve veterans. When veterans come home they do not return to federal agencies; they return to communities across the country. And many of these communities do not have the knowledge, capacity and/or resources to support veterans, especially those facing service-related challenges. While most veterans successfully transition into civilian life, those who need assistance find that the post-service process can be frustrating and support hard to come by. There are approximately 415,000 veterans in the Chicagoland area, 700,000 in the state of Illinois. The McCormick Foundation veterans program strives to make Illinois the best state for veterans and military families to thrive. One way we approach this mission is to support pathways and networks to coordinated outcome-based programs that provide transitioning service members, veterans and military families ease of access to supportive services. All the jargon aside, we know that one organization whether it be nonprofit, private, or public cannot do it alone. A coordinated network of services and activities working towards a common agenda where organizations are truly integrated and collaborating will allow veterans and their family members to reach their full potential and continue to contribute back to our community as they did while serving our country. Simply, if the mental health agency is networked to the workforce development agency which is in the network of the legal aid clinic that’s connected to a housing agency, veterans and family members are going to receive a more efficient and connected continuum of care. Build on existing community strengths. Emphasize and/or expand the community potential to realize and sustain positive public health and social welfare outcomes. Foster self-determination among the population being served. Another study about building community collaborative was produced in June 2016 by Syracuse University’s Institute for Veterans and Military Families (IVMF) which also recognized that there remains a need for more effective collaboration between organizations that service the same population. CNAS produced a new paper in April 2017 called “A Continuum of Collaboration: The Landscape of Community Efforts to Service Veterans” which concluded, amongst many other conclusions, that “communities without formal collaborative activity to serve veterans likely would benefit from some similar activity.” Each of these research papers offers a very thorough and in depth analysis of the evolving collaborative and collective impact efforts in the veteran space and are an excellent resource for any organization or individual working in the field. Based on this research and studies by many others that work with special populations, the McCormick Veterans Program seeks to support a coordinated network of services in Chicagoland and Illinois. Clearly this is no easy feat but we hope to encourage, facilitate and be true partners in this effort. We continue to learn from the field, both locally and nationally, and strive to connect the dots between organizations at the federal, state, and local levels. While no effort is perfect, with continued cooperation and collaboration, we hope to continue to build a strong network of private, public, and nonprofit partners who understand that as a collective whole, we will best serve veterans and their families. Our most significant effort to support collaboration amongst organizations is Illinois Joining Forces (IJF). IJF was launched in 2012, through an inter-governmental agreement between the Illinois Departments of Veterans’ Affairs (IDVA) and Military Affairs (IDMA) as a statewide, public-private network of military and veteran serving organizations working together to improve services for service members, veterans and their families. IJF strives to be the connective tissue amongst the nonprofits serving veterans and their families building a seamless service provider network. It is a partnership of stakeholders—informed by a common goal, committed to creating a collective impact for positive results among the veteran community. Being a statewide network, IJF is working to assemble hubs of services providers, or veteran support communities, across the state. Hosted by DePaul's Egan Office for Urban Education and Community Partnerships (UECP) the Multi-Faith Veterans Initiative (MVI) is a Chicagoland five-year initiative to identify and develop leadership capacity and a network within Faith Based Organizations (FBO) to benefit veterans and their families by recognizing & utilizing veterans' assets and opportunities for growth. One of the major strategic actions of the MVI is developing competent, service-provider networks that provide ease of navigation and access to pertinent resources for veterans & their families on a timely and consistent basis. In an effort to extend the collaborative veteran network into other community assets, we recently partnered with the Institute of Museums and Library Services to convene library and museum professionals as well as veteran service organizations. Community Salute is an initiative of the Institute of Museum and Library Services aimed at strengthening the ability of libraries, archives and museums to respond to the needs of veterans and military families. As a young boy, I developed an early interest in politics, thanks in part to the influence of my parents and grandparents. I recall my father bringing me along with him to vote, my paternal grandmother taking two newspapers each day and faithfully watching gavel-to-gavel coverage of the party conventions, and my maternal grandmother meeting with her alderman at the kitchen table. Now, with two kids of my own, I’ve tried my very best to pass the torch, modeling these same behaviors and demonstrating my daily commitment to strengthening democracy in Illinois. However, democracy is not a solitary sport. Schools, community members, and families must come together to educate the next generation to collectively discuss and resolve common problems. In early August, I attended the 2017 Summer Convening of the Action Civics Initiative in Philadelphia where I participated in a Facebook Live session sponsored by Pearson. During the session we discussed how high quality civic education needs to go beyond the schoolhouse gates. The Robert R. McCormick Foundation has been working to institutionalize this approach through the Illinois Democracy Schools Initiative. Democracy Schools are high schools that are dedicated to expanding and improving civic learning experiences across the curriculum. Each school undergoes a school-wide civic assessment. The Foundation believes civic education is a shared responsibility and encourage schools to include students, teachers, administrators, community partners, and parents in the assessment process. 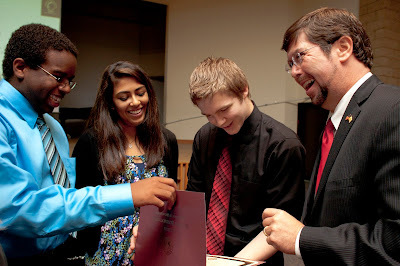 The best outcomes occur when families, community members, lawmakers, and schools, work together to build the civic capacities, commitments, and connections among youth necessary for informed, effective, and lifelong engagement in our democracy. Unfortunately, many national high school civics teachers don’t feel supported by parents. One in four, according to the Center for Information Research on Civic Learning and Engagement, believe that parents and/or community members do not approve of them discussing political or controversial issues in the classroom. And, when it comes to teaching about elections, only 28 percent of educators believe that parents would encourage these practices. Scholars Michael McDevitt and Spiro Kiousis examined the interplay of students, parents, and schools in the political socialization process. They found innovative curriculum promoted the civic development of high school students along with parents by stimulating news media attention and discussion in families. Thus, this symbiotic relationship between parents and school-based civic learning has mutual benefits for student and parent alike. It bears nurturing beyond teaching about elections and deliberative discussion, including youth participation in the public policy process. Discussing local, national and international current and political topics. Volunteering time and resources to enhance local communities. Encourage children to form and express their own views on current controversial issues. Support the discussion of controversial issues in schools. If eligible, vote, and talk to children about why they vote. Involve their children in out-of-school groups and organizations that address political and social concerns. The First Division Museum at Cantigny Park in Wheaton reopened its doors to the public on Saturday, August 26. 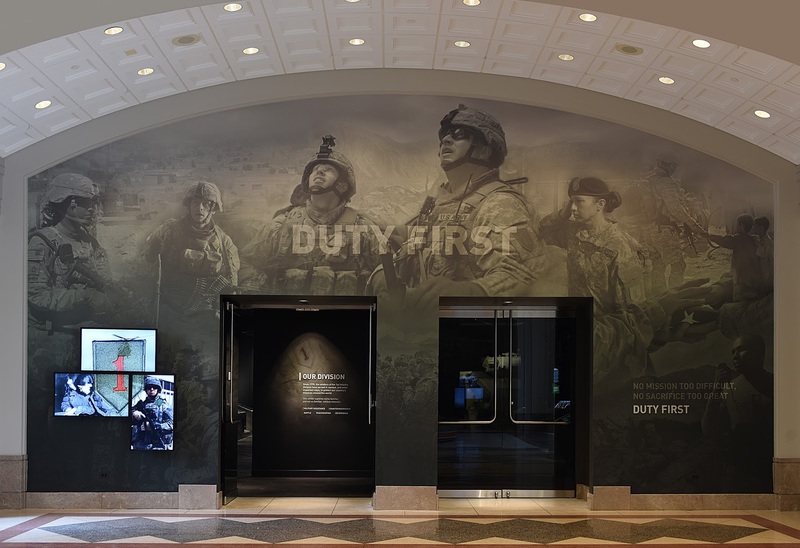 The Museum began a transformational update last fall including the addition of “Duty First,” an all-new gallery focusing on the modern (post-Vietnam) history of the Army’s 1st Infantry Division. 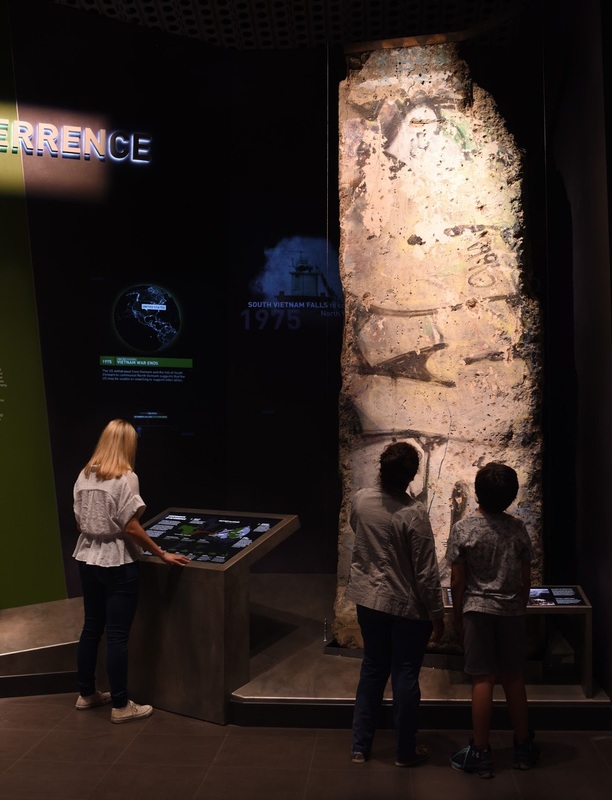 The new experience features new and updated exhibits plus cutting-edge storytelling techniques. The “Duty First” gallery occupies the 2,500-square-foot space formerly used for temporary exhibits and programs. Inside it, visitors will learn about the different types of missions performed by the 1st Infantry Division today with the information, in many cases, delivered by the voices of military veterans. Interactive exhibits apply virtual reality technology that is sure to leave a lasting impression. 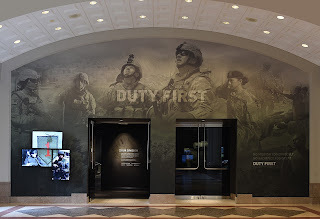 The First Division Museum’s other major gallery is “First in War.” This space, thoroughly updated with new media and more artifacts, will be familiar to previous visitors. Powerful immersive experiences remain intact, such as walking through a WWI trench, onto Omaha Beach and through the jungles of Vietnam. As before, the compelling record of the Division is presented in the context of broader history, inviting Museum visitors to engage in the tough issues of war and peace. The Museum’s grand reopening coincides with the 100th anniversary of the famed military unit known as the “Big Red One.” It became the first division of the U.S. Army in June 1917, assembling to fight in France in World War I. Col. Robert R. McCormick served in the Division during the Great War, participating in the successful Battle of Cantigny in 1918. Returning after the war, Col. McCormick re-named his farm Cantigny in honor of those who served in the battle, and on his death in 1955 left Cantigny Park in trust for the enjoyment of the people of Illinois. “There is no better way to commemorate the centennial of the First Division,” said David Hiller, president and CEO of the Robert R. McCormick Foundation. “We know how Colonel McCormick revered the Big Red One, and all the men and women who served in the armed forces. 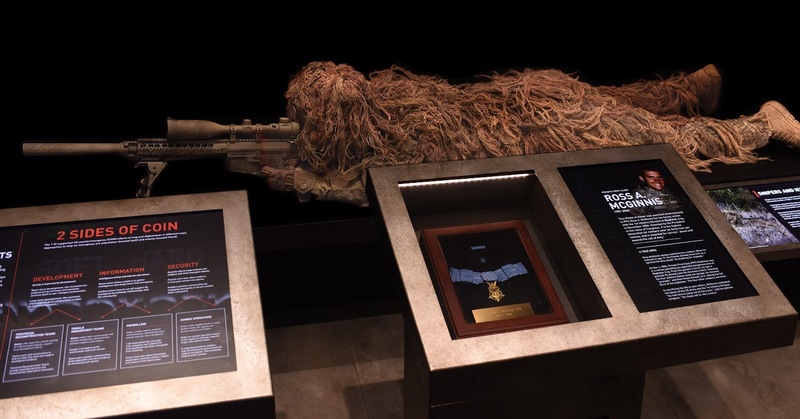 He’d be pleased that this wonderful Museum honors veterans and all those who serve.” The renovated Museum provides a comprehensive telling of the Big Red One’s service since the Vietnam era and allows for future updates. Luci Creative led the exhibit development, design and production management for the project. Ravenswood Studio fabricated and installed the exhibits. Northern Light Productions, Unified Field, Creative Technologies and Brave New Pictures developed the interactive and media content. Chicago’s Pepper Construction served as general contractor. The 11 vintage U.S. Army tanks outside the First Division Museum also reopened on August 26. All of them have been cleaned and painted with historically accurate markings. Tank park renovation includes new plantings, walkways, seating and lighting. The grand staircase and entry plaza outside the Museum’s front doors are new, along with other hardscape details surrounding the building. A picnic shelter south of the Museum is nearing completion. The First Division Museum’s reopening represents a key early milestone in Cantigny’s ongoing revitalization effort, Project New Leaf. The five-year project, funded by the McCormick Foundation, includes major updates to Cantigny Park’s gardens, grounds and facilities. At Cantigny and in the community, the First Division Museum touches thousands of people every year, making America’s military history accessible and thereby strengthening our democracy and its defense. The Museum is a tribute to all who served and continue to serve to protect our nation’s freedom. More information is online at fdmuseum.org and cantigny.org. Two McCormick Foundation Program Officers were recently selected for prestigious leadership development programs in Chicago. The Veterans Program's Manny Johnson was selected for the Chicago Urban League's IMPACT Leadership Development Program for 2017-2018. IMPACT selects a cohort of around 30 African American professionals with a demonstrated track record of civic leadership. The intensive program partners with the University of Chicago Booth School of Business to provide instruction in business ethics, negotiations, decision-making and interpersonal dynamics. 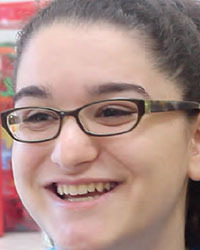 The Crain's Leadership Academy selected Courtney Hresja of the Foundation's Education Program. The Academy is a nomination-based program that offers personal development, professional growth, leadership exposure and civic outreach for advancing professionals. On Saturday night, staff from the Robert R. McCormick Foundation will be attending the DuSable Museum of African American History’s “Night of 100 Stars,” a benefit highlighting the amazing achievements of notable individuals, including artist and musician Chancelor “Chance the Rapper” Bennett, former World Food Program executive director Ertharin Cousin, and Lonnie Bunch, the founding director of the National Museum of African American History and Culture in Washington D.C. and former president of the Chicago History Museum. Lonnie Bunch also had a piece in today’s New York Times about a recent incident at the National Museum in whcih someone placed a noose near one of the museum’s exhibits. This follows instances of nooses being left elsewhere on the National Mall in recent weeks, and in other places around the country as signs of racial hate and intimidation. Whether it’s the experience at the National Museum or a visit to Chicago’s own DuSable exhibits, the lessons found within their archives, and in our shared lives, are of critical importance for each of us to reflect on and learn from. My name is Louis Blake and I am part of the Infrastructure Program. This program has provided a safe haven for me, by keeping me off of the streets and supplying me with the belief that I can be someone. Coming from a broken household, I struggled with my anger. This caused problems between my parents and I, and they felt as if they couldn’t handle me; I was literally left alone, homeless and having to fend for myself. Children’s Home and Aid Services helped me repair my relationship with my mother and I was able to move back in with her. The new stability in my home life encouraged me to find security in other areas. One Summer Chicago gave me that, and I now have a source of income and new friends that have similar goals and aspirations as me. My name is Aleeca McDuffy. I am from the Rogers Park neighborhood in Chicago. My community is very divided, it feels like the line where the rich meet the poor. If you walk four blocks west there are big, beautiful homes and you can see children playing on the front lawn. But if you walk towards the area known as “the jungle” then you see dilapidated apartments. Living in the area I do has shaped what I envision my future being. I want to go into law and one day become a judge and have the power to change neighborhoods like mine. I want to make a big impact like Martin Luther King and change the way people see each other. I think working with children is a great way to accomplish that. This One Summer Chicago Program has shown me that it is possible to relate to people that come from different places and even speak different languages. My name is Amanda Mala and I work at ABC Daycare. I work with toddlers in the program and I enjoy learning how to interact with children through working at ABC. I want to become a pediatric doctor, and working at ABC is helping me prepare for that. My parents have told me that I need to work on my patience, and this job has given me a perfect opportunity to do so. Working with such young kids has taught me to anticipate what they need and to speak up for them. I have taken that and implemented it into my everyday life. When I see something wrong or witness a moment of injustice, I now feel confident enough to speak my mind. One Summer Chicago has helped me grow up in a matter of weeks. My name is Marquita Adams. I was raised in the Lawndale area of Chicago, IL. My mother is my rock. She has been there for me no matter what, and when I became a teen mom she encouraged me to stay in school and graduate. I graduated at the top of my class, and I was excited to see what the future held, not only for me but for my son as well. My mentor in Options for Youth program at Simpson Academy shows me that I should go away to school and focus on building a foundation for my new family. I am now 23 years old and a graduate from Southern Illinois-Carbondale with a degree in criminal justice. I plan to go back to school and get my masters [sic] degree in social work. I do all of these things to be a role model for others, including my son, and to show them that it is possible to be successful no matter what your circumstances are. 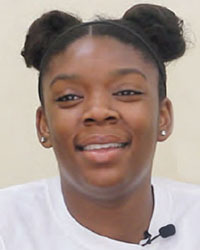 My name is Kira Pitts and I am a 17 year old rising senior at Bowen high school on the southside of Chicago. In my free time I play softball and study at school with my friends. I think it is important for teens in my generation to stay active to make sure they are on the right path. My brother was murdered almost 2 years ago over a petty disagreement. When he passed, he left behind a young son and a grieving family that has to learn what life is like without him. One Summer Chicago has been important to me because it provided me with the support I needed to help me mourn my brother’s death. I wish that there were more programs like this around the city and throughout the year for more teens, because they keep us active and productive. If there were more programs like One Summer Chicago, violence rates would be lower and teens would be more motivated to do better. My name is Lauryn Jackson and I am one of three children. Being the middle child has shaped me into who I am. At times I struggled with finding my “fit” in my family, which caused me to alienate myself. Over the course of these past several years, I have learned the importance of using my voice and being heard. One Summer Chicago has provided me with the encouragement and support as I got over my fear of speaking up. I now am able to confidently voice my opinion without fear of judgement. In the future I hope that I’ll be able to provide others with that One Summer Chicago has provided me; confidence, intelligence, and the belief that anything is possible with the right mindset and work ethic. 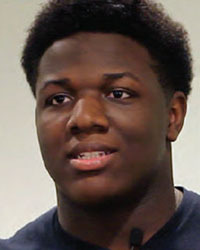 My name is Charles Brown and I am part of the Teen Health Initiative program. I come from the Chatham neighborhood in the southside of Chicago. My neighborhood has been affected by crime and violence, and I have to be cautious when coming and going from my house. Violence in the city is a big reason I decided to apply for the One Summer Chicago program. I have always been interested in encouraging youth to be more educated on the world around them. With this program, I get to practice that everyday. I inform my peers about mental health and work to alter the stigma associated with it. This program has helped me see that I want to improve communities like mine, by using the skills that the Teen Health Initiative has taught me. My name is Courtney Twyman and I live in the Bronzeville neighborhood on the southside of Chicago. For a long time I did not realize that I had been living my life confined in my neighborhood. One Summer Chicago opened my eyes to how beautiful this city is. I have lives in Chicago my whole life, but until joining Green Corps, I had never been to the beach. My idea of the city was limited to my neighborhood and the area around my high school, the Chicago High School for the Arts. The program introduced me to things I had never thought I would be interested in before, like gardening and caring for plants. I want to thank the people who made this program possible and I look forward to working in it again next year. My name is Daja Vivians and I am a mother of one. My daughter Jada is my world. She inspired me to change my life after going through the traumatizing experience of losing my first child. When I was pregnant, I felt as if I had nobody to turn to, until I became heavily involved in my church. After searching for activities to enrich my life, I learned about the One Summer Chicago program. I felt that it was the right fit for me because it provided me with opportunities that I couldn’t get elsewhere. As one of the oldest in the program at 20-years old, I feel for those younger than me. I know that children in Chicago are easily deprived of support that can help them reach their full potential. Without this program I wouldn’t be the great mother and amazing role model that I am now for my daughter. I hope that my story inspires others. 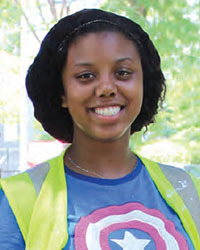 My name is Dejanay Brooks and I am a 15 year-old sophomore attending Kenwood Academy, where my program, Green Corps, is located. We bike, plant crops, and on Fridays, we learn financial literacy. We have learned about the importance of a savings account and how to build a resume. Growing up on the southside of Chicago, violence has taken very close people away from me. My programs [sic] is uplifting, and it keeps me busy. I hope to be working with this program again in the near future. I enjoy writing and I hope to pursue a career as a lawyer. One Summer Chicago has given me an opportunity to jump start my ideal career. 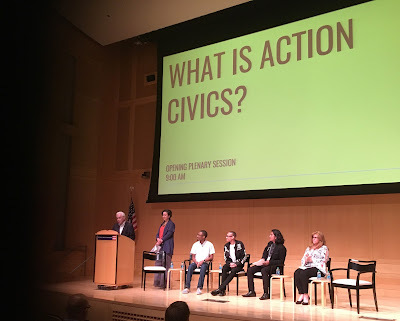 In April, I participated on a panel at a Council on Foundations’ preconference in Dallas, discussing Philanthropy’s Role in Strengthening America’s Democracy. I was asked to weigh in on a narrative that dominates our county today: (1) Are we a divided country? (2) And if so, how do you see civic education helping to bridge our differences? 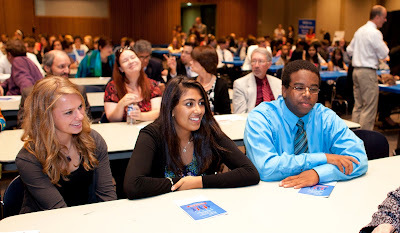 The McCormick Foundation’s statewide civic education work offers guidance on how schools and educators can begin bridging ideological and geographic divides. Context matters a great deal. A controversial issue in one region is settled in another. Research suggests that most of us follow the guidance of our grandparents to not discuss politics or religion. For the junkies among us, we're more likely to discuss politics among those with whom we agree, leading to the ideological amplification that increasingly cripples our democracy. Understanding how to productively discuss controversial topics and learning to appreciate others’ perspectives, even if they are different than yours, is a key ingredient in building a stronger democracy. And America's classrooms is the perfect setting to begin developing these skills. And here is why: students enter school with surprisingly heterogeneous views, even in deep red or blue areas. This coupled with the fact they are being taught by educators with the training (or at least the potential) to facilitate difficult political conversations across various ideologies and beliefs. Learning these practices will not only illustrate that thinking differently is not wrong or bad, but may demystify conflicting beliefs and help students to approach those issues with greater objectivity. Civic development in the classroom needs to happen beyond state and national elections. True, elections have consequences and the outcomes may frustrate some, but elected officials represent us all and we are obliged to work with them through the public policy process that follows. Many issues have local resonance and are often less ideological than those that play out on the state or national stage. Politics is a game of addition, and policy making often requires the building of bipartisan majorities across legislative bodies and branches of government. Our successful legislative push two years ago for a high school civics course requirement offers many of examples of how we were able to build strong bipartisan collations in the Illinois General Assembly which was controlled by a Democratic supermajority. As a result, the bill was later signed by our Republican governor. Civic education is bigger than red-blue, urban-suburban-rural divides. It is about the future of our democracy. Local context considered, best practices remain central to youth civic development and must be offered universally. Illinois' civic health may be on life support, but the prognosis for its long-term recovery is strong thanks to the fruits of the #CivicsIsBack Campaign. With support from the McCormick Foundation’s Education Program, the Erikson Institute in March launched a new track of its Early Childhood Leadership Academy. The McCormick Foundation Executive Fellows program trains high-level leaders across disciplines -- including politics, government, law enforcement, education, the law --about key components of the early education system. Fellows will hear from experts on leading-edge research, visit exemplary early childhood settings, network with cross-sector leaders and receive on-demand online content. Equipped with this information, the executives can make better informed decisions about policies and resource allocation in their respective fields to advance outcomes for young children. In early April, the Foundation relaunched its current website, McCormickFoundation.org, with a refreshed appearance, refined functionality, and simplified content presentation. The previous site has been in place since 2009, and was in great need of update. The site features a fully-responsive design, catering to a growing number of people who browse the internet via smart phones and tablets. 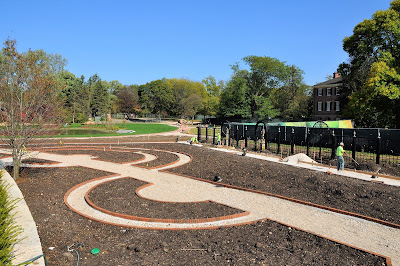 The content remains focused on the Foundation’s grant programs, but also shares our connection with Cantigny Park and Cantigny Golf. Nonprofit Garden provided insightful and invaluable design consulting and programming guidance.